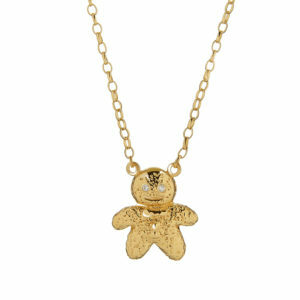 With little diamond-set eyes, this gingerbread man is adorably cute, not to mention very well turned out! 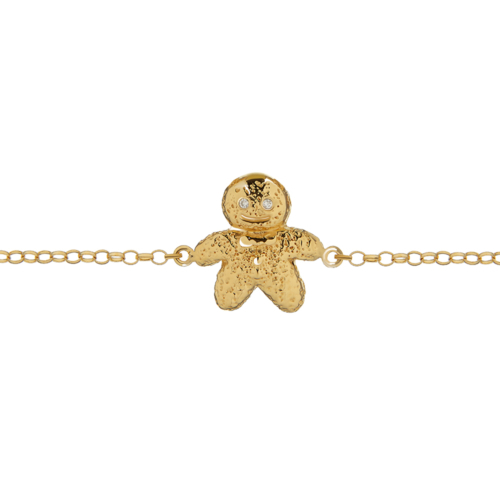 Forming part of Tessa’s Fat Free collection, this bracelet looks just as good on its own as it does layered with her other sweetie-inspired designs. Available also in necklace form.